Today we are going to white wash furniture. It’s really an easy technique. One of my favorites. This is a custom piece for one of my clients. This client purchased my blue and white Mademoiselle Desk and then had me paint a dreamy blue and white chest, nightstand and chair to match. The client’s daughter needed a little more storage so I was asked to paint this piece to match the others. I used a white wash to bring out the details on the chest doors. Just a little something that takes it to the next level! I spray painted the original hardware white. The client was amazed, she thought it was brand new hardware. Oh, what a coat of spray paint can do! 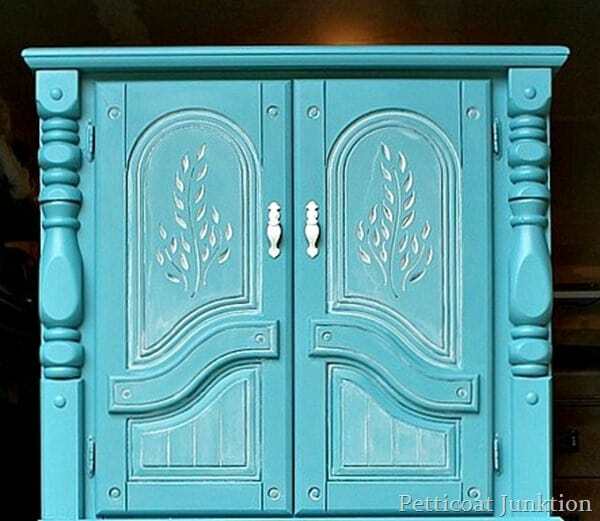 Do you like white wash furniture? Do you like Duck Dynasty? Such a gorgeous color, and you mixed it yourself! What an eye you have; I love everything about it! 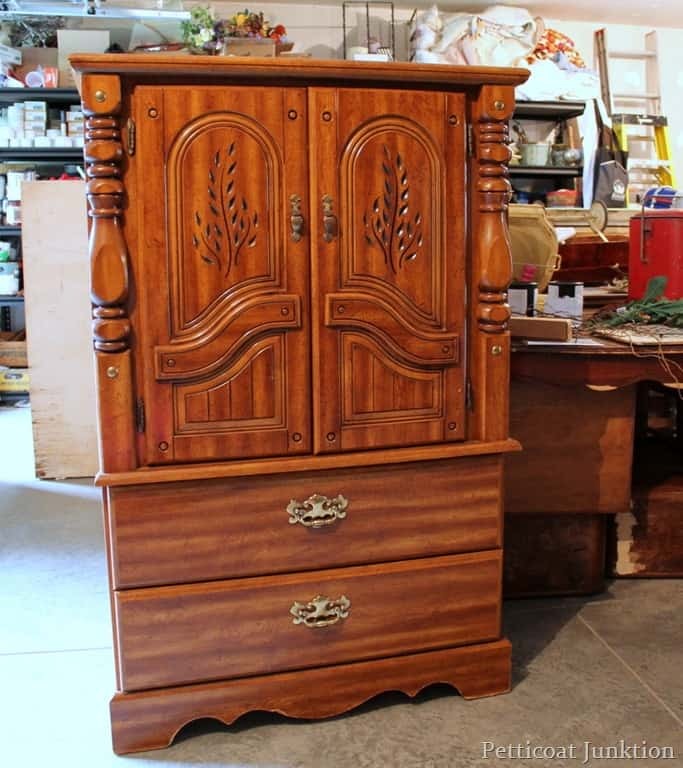 After following you along on this site and purchasing some caramel toner from you (along with some metallic silver paint) my bedroom furniture is about to get a makeover. Wish me luck! I do love Duck Dynasty!!! I love this white wash piece!!!!!! Stunning! I love it and the whitewash really makes the details pop. Thanks for sharing at Throwback Thursday. So beautiful, I love the color…and the whitewash details!! I love white wash, and I DON’T like Duck Dynasty. I’m working on a large piece like this for my studio, not white but thanks for the inspiration. I love the white wash technique. I saved your tutorial for future reference. Thanks for sharing. 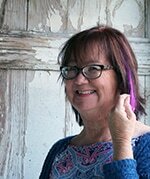 Kathy it looks great! 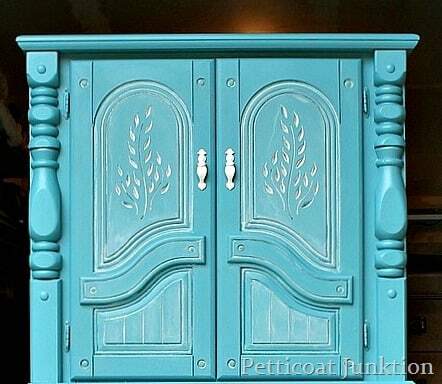 I love the whitewash with the teal paint. Hope you and all your loot made it safely home! It looks fabulous, Kathy! 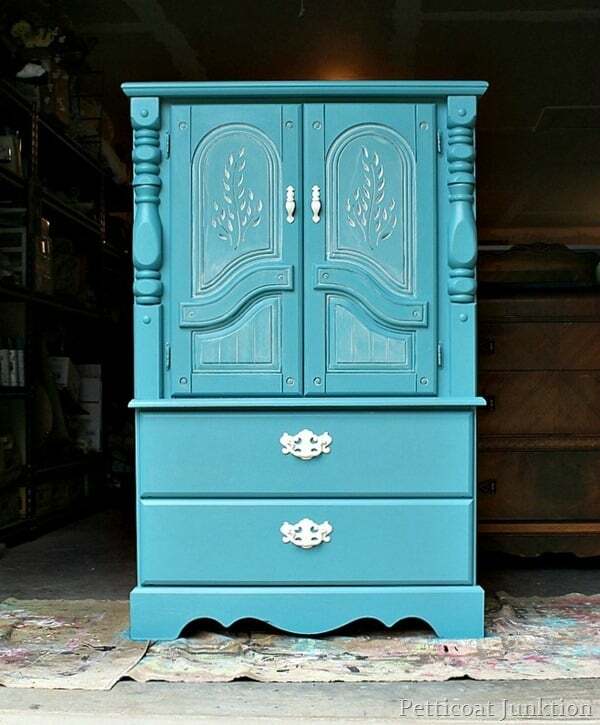 I love the turquoise and the whitewashed details! Sharing it on facebook. uh-oh, I’m not sure I like the sound of tomorrow’s post! Beautiful! May just be my favorite of all your pieces! 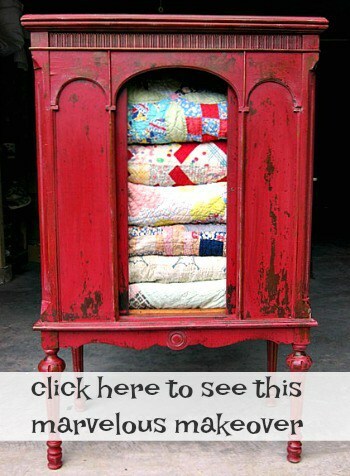 Would love to see a tutorial on how to white wash furniture!